Pickwick Aardbei Thee. -- Strawberry Tea 20 X 1.5g tea bags - Tea - Beverages - The Dutch Shop LLC your store for Dutch groceries. 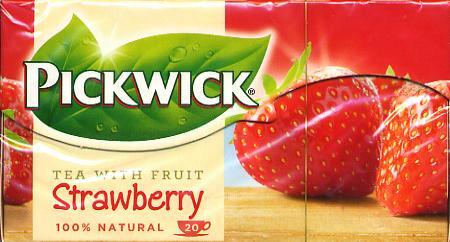 Pickwick strawberry tea. Flavored tea with pieces of strawberry. Ingredients: tea, aroma's, strawberry pieces (0.8%).